More information is provided in the metadata document called land_database.htm that is available in the Attachments section. This layer contains land use, zoning, and appraisal data for the purposes of long-range planning and scenario modelling, current to October 2016, but based on a variety of sources with different capture dates. The land use information and parcel geogrpaphy are based on a land use inventory. It also includes estimates of residential units based on building permit, appraisal data, aerials, and a variety of other sources. An ArcGIS lyr file is also provided to allow users to draw this GIS layer in ArcMap. Finally, this layer is available on Arcgis.com by searching for "owner:CTM.Publisher land use." If you download a shapefile from this dataset, note that some field names are altered in the process of exporting to shapefile and may not match original names. Shows the acreage of "general" zoning categories in each neigborhood reporting area. Neigborhood reporting areas are a combination of official and unofficial boundaries for the purpose of collecting and reporting information (data) in Austin. They are comprised of Neighborhood Planning Areas (in the central core) which are approved and can only be changed by City Council. Areas outside of neighborhood planning areas were drawn using logical boundaries such as roadways, and covering larger areas encompassing several neighborhoods. A Neighborhood Reporting Area map is available at http://www.austintexas.gov/sites/default/files/files/Planning/Demographics/Neighborhood_Reporting_Areas.pdf. The zoning data does not indicate public right-of-way (ROW) areas, such as streets and railroad ROW's, which are not typically zoned. General zoning includes major base zone district categories plus zones with vertical and mixed use overlays. Zoning maps are available at http://austintexas.gov/page/planning-maps, and http://www.arcgis.com/home/item.html?id=6803413bed5e4aa0bb13c93c71ccb41d. More information on zoning is available at http://www.austintexas.gov/department/zoning.  This information is taken from the zoning layer, which can be accessed at https://data.austintexas.gov/. The land inventory is based on several sources. The polygon geography is taken from appraisal district parcel layers merged together. A land use inventory is performed by classifying land according to a coding system that reflects the primary improvements (buildings or structures) on each parcel. Most of the land use information is attached through a GIS Union from past land use inventories. Undeveloped parcels are checked against building permit, aerial photos, and appraisal records, generally collected during the fall, or when data was made available. Information is collected only in the City of Austin’s Full, Limited Purpose, and Extra-territorial jurisdictions, and not entire counties. This layer represents the area and attributes for the Future Land Use Map.